So I had a little bit of a play around the other day and threw together this black smokey eye. It's nothing fancy, and I'm not a makeup artist, but it's not too bad I guess.. I primed my lids, then packed a dark grey onto the centre of my lid and blended it upwards. 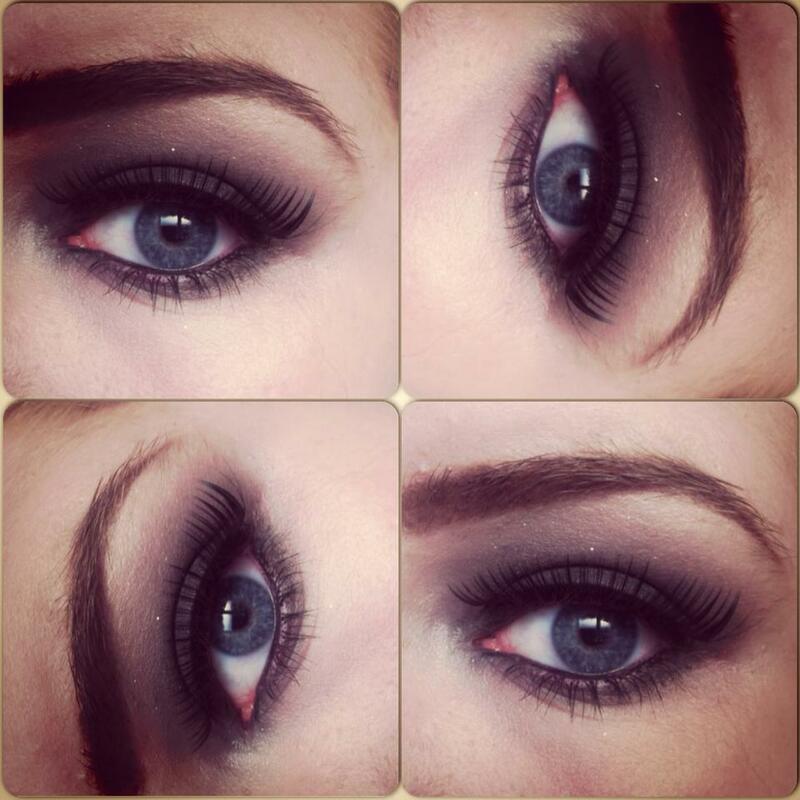 I then put a black eyeshadow in the outer corner of my eye in a V shape and again blended it out. I lined my tightline and waterline and added a bit of gel liner to my upper lash line, threw on some big false lashes and it was complete. Hope you enjoyed this post, any tips would be appreciated!